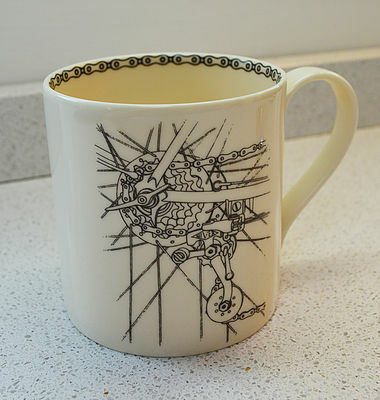 Nowadays, mugs come in an enormous array of different styles to suit just about every individual, meaning that kitchens across the country can proudly display tokens of their owners’ passions. 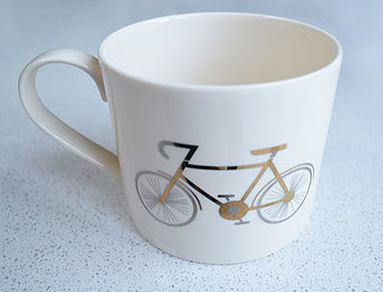 With this great collection of fine bone china ceramics, made in Stoke-on-Trent, cyclists can also have a mug to match their personality. 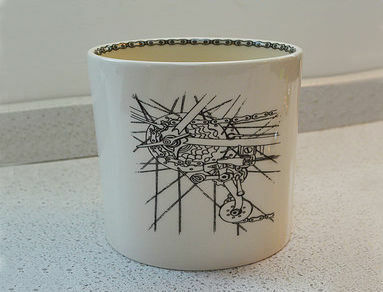 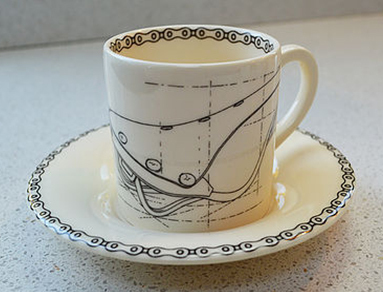 As well as the tea mugs, we also stock a range of espresso mugs, plate sets and pen pots – each featuring a unique, stylised design. 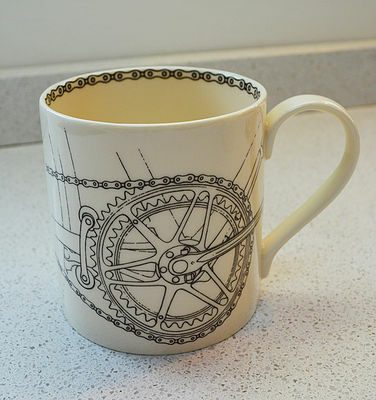 The majority of these designs feature monochromatic illustrations displaying individual sections of the bike, such as the chainset and saddle, and therefore highlighting the real precision of engineering that goes into a bike’s design. 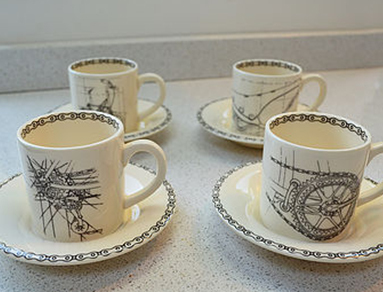 Additional details such as the inclusion of a pattern of chain links around the edge of the mugs, plates and saucers sets these items apart, and makes for a kitchen collection that’s a little extra special. 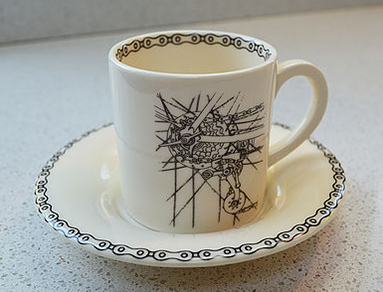 While we believe that any cyclist would love to have these china items at home, they also make a great unusual addition to commercial spaces such as cafes and restaurants. 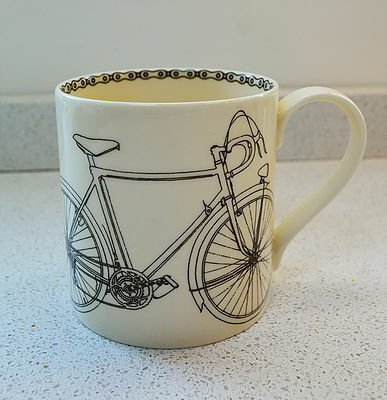 For a vintage look, the line drawing styles are both retro in style and modern in finish, helping them to add to the atmosphere of any establishment – especially a café situated on a well-travelled cycling route! We also find that they make very popular gift items, and with everything from single mugs to full plate sets, we’re able to accommodate every budget with our products. 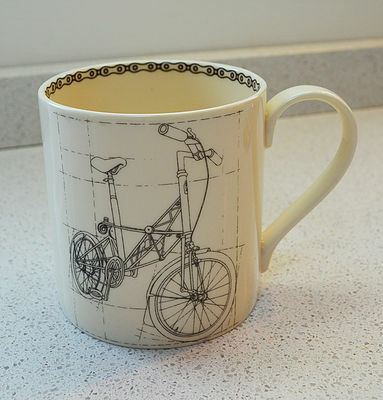 A lovely moving gift for bike fans who have just settled into a brand new gifts – or for young cyclists who might be heading off to university. 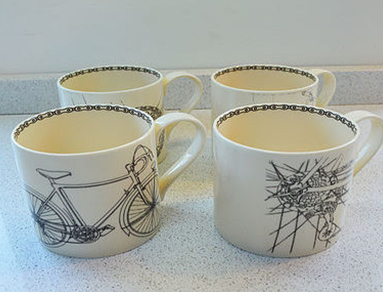 We’d love to share more information about these eye-catching products with anybody who’s interested, so pleased feel free to get in touch online to discuss them with a member of the Target Velo team. 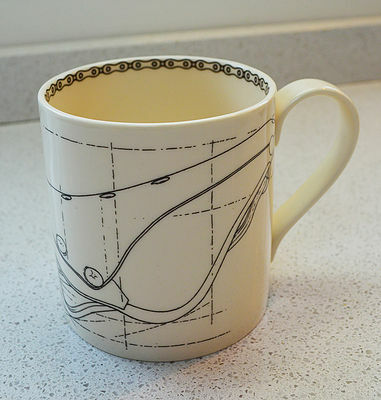 You can also browse the rest of our cycling memorabilia right here on the site.